This is the first in a series of posts I feel inspired to write to share some "get fabulous fast" tips & tricks. Face it, none of us have enough "free" time or need to extend our morning routine. In the spirit of sharing, I wanted to share a few beauty & fashion methods and practices I employ to pull it all together with limited time. The Everyday Bombshell series should be viewed a busy girl's guide to looking (and feeling) fabulous when the clock only wants to trip you up. I hope you'll enjoy! If you've read my other hair posts you'll know I love long loose messy waves and have found them remarkably easy to create. The look is not perfect, in fact it's a style I love rocking daily even if I have no plans to leave the house. Over time I've developed a few quick methods of achieving that perfectly imperfect look. How do I find the time is what most friends ask me. The answer? I don't. I cheat using hot rollers to achieve these rolling locks. They are super easy to use and I can leave them in while I dash about doing other things. A similar loose curl result can be achieved with a 1" or larger diameter curling iron. The difference, in my opinion, is the curling iron offers more staying power but less volume. The rollers offer considerably more volume at the roots but less precise (read: more loose & wavy) curls. Given the choice (and much more time) I'd definitely use a large barrel curling iron, but the convenience of the hot rollers beckons me daily. They are just so very easy and allow makeup to be applied and breakfast to be cooked while they do their thing. That said, I'd love to encourage you to experiment with tools of your choice, and I can't imagine you don't have a curling iron tucked in a bathroom drawer. So pull that baby out and enjoy this video guide. This is one of my favorite video tutorials on how to achieve that perfectly tousled look using a curling iron. You'll feel like a pro in no time! Regardless of your tool of choice, these turned tresses will highlight your shiny locks and frame your face beautifully. I'm linking to a few favorite hair styling products that have made bombshell hair significantly easy (and fast) for this busy girl. I hope they do the same for you. There's a great Dolly Parton quote (in fact, the only one I know at all) where she remarks that dumb blonde jokes don't offend her because she knows she's not dumb and she knows she's not blonde. Her self-deprecating humor is surprisingly refreshing and incredibly self aware. In that one simple moment of humor, the iconic blonde frees all of us to admit that we're not, in fact, born with it. Beating us all to the punch, hair goddess Lauren Conrad was the original balayage (as the hand-painted highlight technique is known) girl. 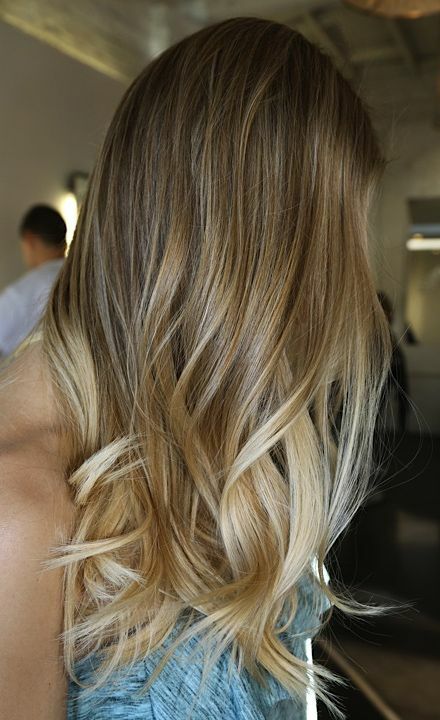 Visible roots in all their glory finished with sun-kissed tresses that lightened towards the ends. The ultimate California girl look, and hair inspiration to women of all races and ages. Dark roots, once the very bane of every salon regular, are now an essential a part of the "look" and a welcome feature of this graduated color look. In a genius twist of fate, the problem is now the solution. The common thread amongst all who rock the "fade" is the styling. The dégradé effect looks best with loose, beachy waves - so the tutorial and tips above go hand in hand with my "no extra time" approach to styling. If you've been a slave to the salon for regular touch-ups, perhaps it's time to give this less severe approach to hair color a go and join the ranks of celebrities (and housewives) everywhere for truly effortless and envious locks. 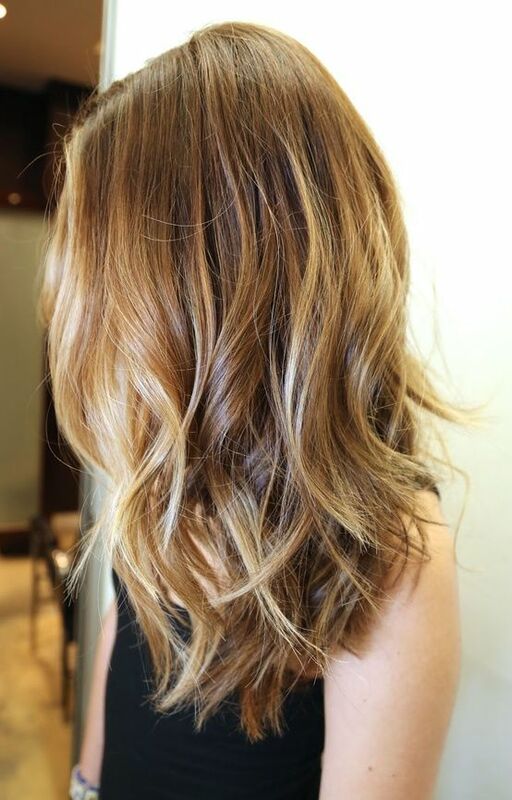 Next time you hit the salon ask your hair stylist what it would take to transform your high-maintenance mane into a beautiful bounty of effortless graduated color goodness. Your busy schedule (and your image in the mirror) will thank you.